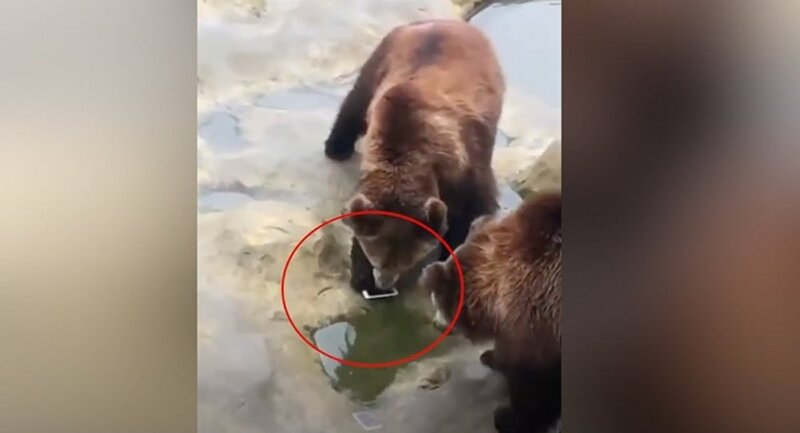 A tourist mistook his smartphone for fruit and threw it into a bear enclosure at a Chinese zoo. The incident occurred on Thursday, 7 February, at the Yancheng Wild Animal World in Changzhou, Jiangsu province. In the video, you can see how the visitor throws out his smartphone as the train passes over the enclosure. Two bears become interested in the alien-looking object and begin to smell it. Then one of grabs the white iPhone with its mouth and walks away. 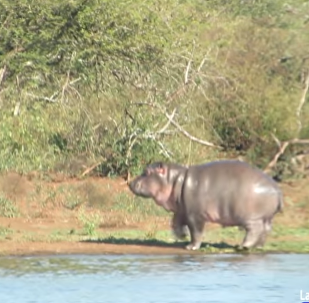 This baby hippopotamus was not scared to approach a dangerous crocodile predator and a buffalo in South Africa's National Kruger Park. Moreover, he behaved in an insolent manner, seemingly trying to show everyone that he's the king of the jungle.